Wave is the most-asked-for plant brand ever! Our consumer research shows that Wave has a 25% brand awareness in North America with gardening consumers. They rave about Wave’s easy, spreading color. 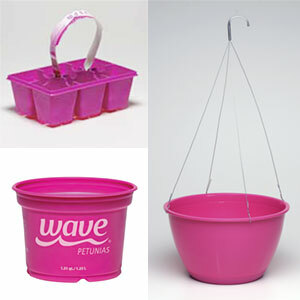 In a survey of Wave Fan Club members, 72% indicated they look for pink pots or packs when shopping for Wave. 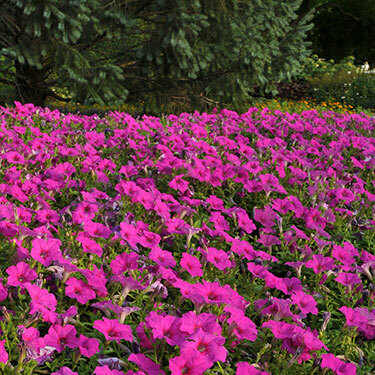 Pink packaging tells shoppers they’ve found authentic Wave® petunias. Contact your plastics supplier for a variety of packaging options to fit your program needs. 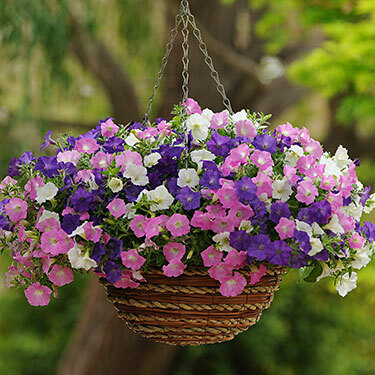 Perfect for planters & gardens. Your all-season salesmaker. Most versatile series. Makes a carpet of color. 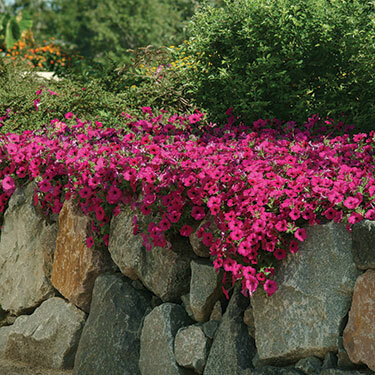 Care-free, superior landscape performer. Super-size colour for big spaces. 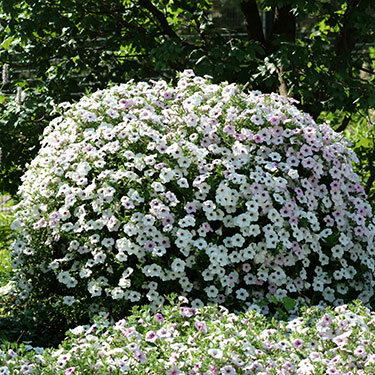 Excellent shrublike shape! Extend your season with this strong finisher.